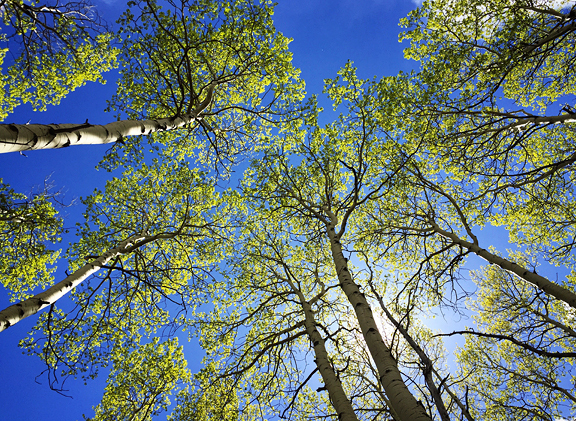 It’s been a good week in Crested Butte. 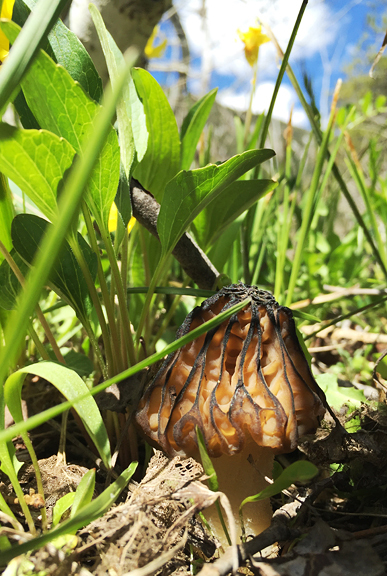 We’ve been out on the trails daily, either hiking, running, or foraging. Neva has enjoyed plenty of exercise and play and snacks. I love watching the mountains shed their winter tones to reveal brilliant spring greens and yellows and blues. 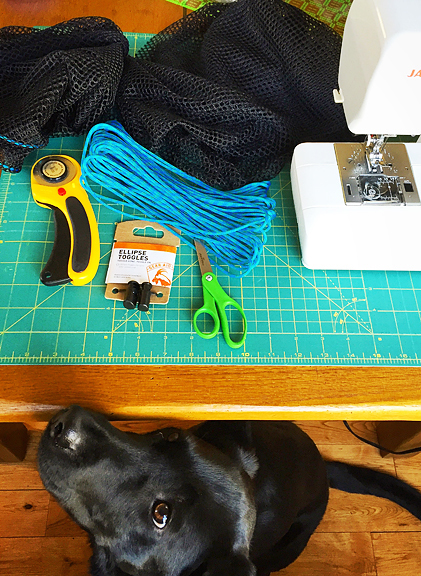 Spring cleaning is underway, although the actual “cleaning” has yet to happen (it will…). Spring Administration is probably the more appropriate term. That includes mapping out our summer, which makes me simultaneously excited with anticipation and disappointed that it is so brief. At the end of each day when I turn out the lights, I reach over to hold Jeremy’s hand in the dark and give it a squeeze before we fall asleep. Today’s recipe is wonderful and simple, because it’s strawberry season and because I have a ton of dandelions to pull out in the yard. 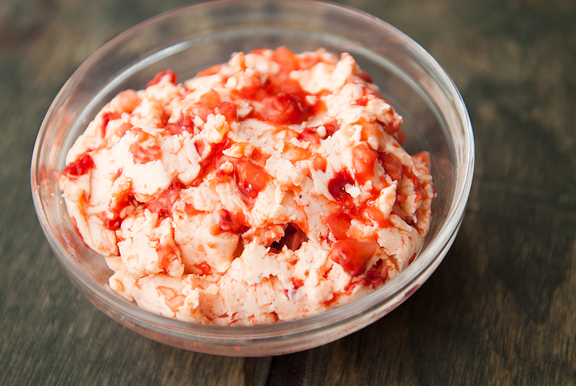 Strawberry butter is best made when you have access to ripe berries. And since butter is the main ingredient, I recommend using a good quality unsalted butter. 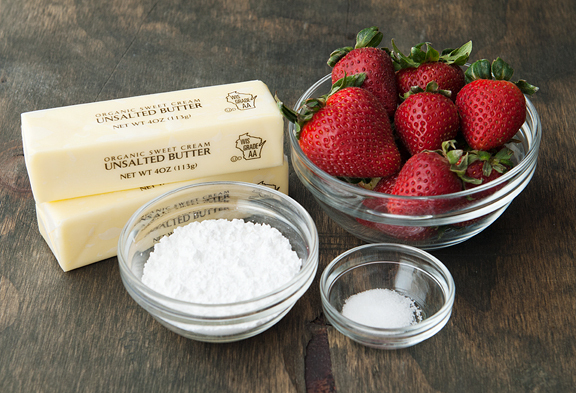 Make sure the butter and strawberries are room temperature before you start. 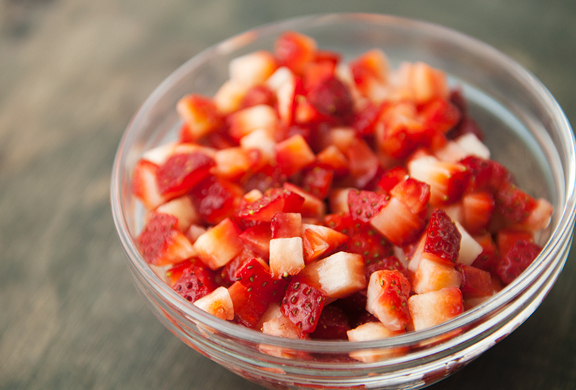 Hull and wash your strawberries, then pat them dry. I find that any excess water on the berries tends to dilute the flavor of the butter and the berries. 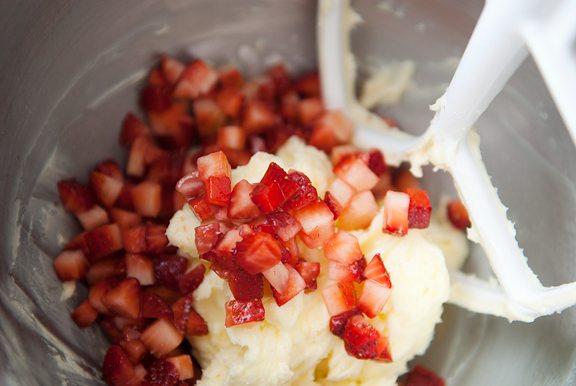 Obviously, the more ripe and juicy the berries, the more flavorful the strawberry butter. I dice my berries pretty fine. As long as the berries are ripe, they should mash nicely into the butter. If you aren’t using ripe berries, then a finer chop should make up for their lack of mashability. Scrape the sides of the bowl down after you beat the sugar and salt into the butter. There’s always that boundary layer along the bowl that never seems to get mixed in properly. Now beat the berries into the butter until blended. You’re done! Wasn’t that easy? 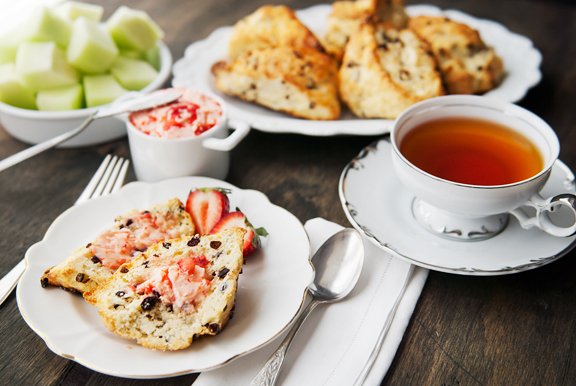 Strawberry butter makes a nice addition to any breakfast or brunch table, and it is especially welcome at an afternoon tea. Spread it on scones, biscuits, muffins, pancakes, waffles, toast, French toast, a warm slice of quick bread. It keeps in the refrigerator for up to a week, but mine never lasts that long. Hull and wash the strawberries. Pat the berries dry. Mince berries to get about 1/4 cup. 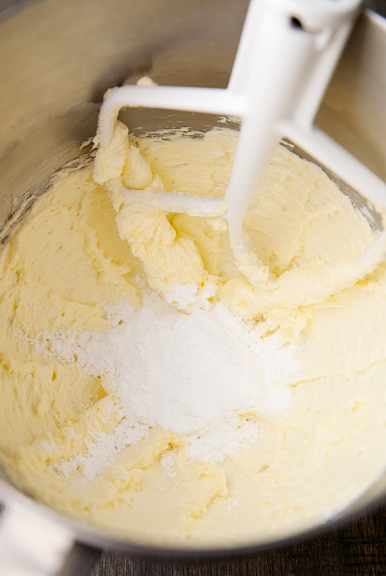 Beat the butter in the bowl of a stand mixer fitted with the paddle attachment on medium speed until smooth (a minute or two). Beat in the powdered sugar and pinch of salt until incorporated. Scrape down the sides of the bowl. Add the strawberries. Beat until blended. Refrigerate for up to a week. Makes a cup. I ADORE that last pic! So gorgeous. 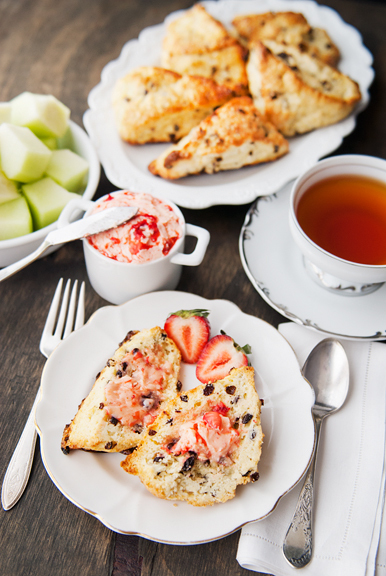 I will definitely have to make this next time a fancy afternoon tea comes up. Love your entries, Neva! I’m feeling like I’m on the mountains with you. The strawberry season is here so I’m going to try this recipe. I love all the ingredients! 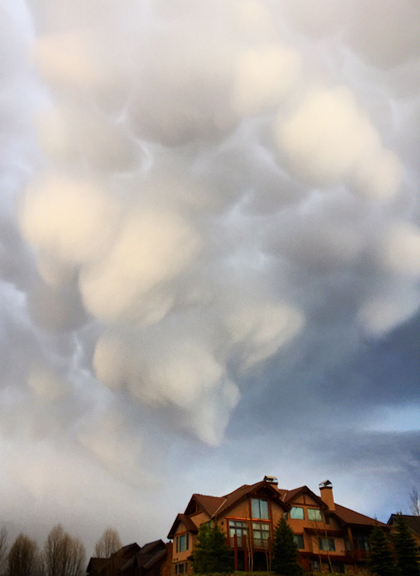 Thanks for making such a cheery blog today – made my spirit rise! What a nice way to up my biscuit game. I mean butter and local honey is great and all that, but fresh strawberry butter? yes please… Thanks Jen!